Texas School Teacher School Holds "8th Annual Ghetto Classroom Awards"...WTHockey Puck!!! 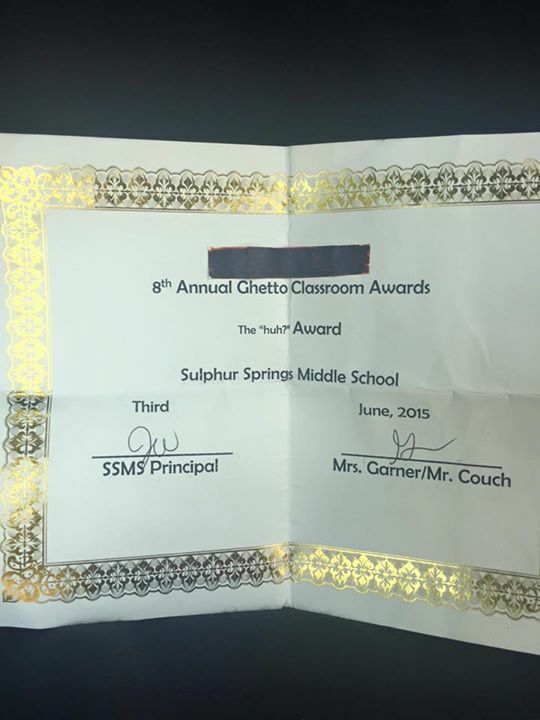 Texas School Teacher School Holds “8th Annual Ghetto Classroom Awards”…WTHockey Puck!!! The school is investigating after the award was posted on Facebook and “other parents didn’t ‘get the joke’ either,” WGCL Atlanta reports.